A 21st century take on the original espadrilles, our Classic Style in Forest Green are a great neutral to pair with your swim trunks on the way to the beach. 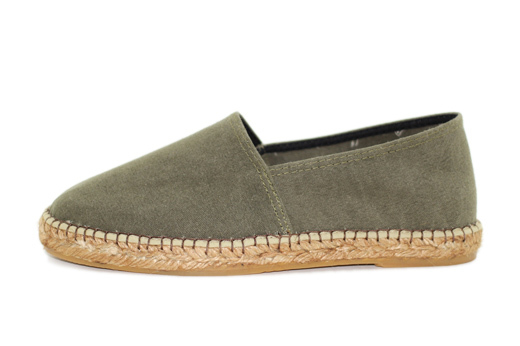 Easy to slip on and with a thick, sole - these men's espadrilles will quickly become a favorite for the warmer months. Handmade in Spain, all of Laro Espadrilles are equipped with vulcanized rubber soles for durability.